> Dried Chilies>Ancho>Dried Ancho Chile 2 oz. Dried Ancho Chile 2 oz. The Ancho Chile is actually a dried Poblano pepper and is the most common of all the dried chili peppers. They have a mild fruity flavor with undertones of plum, raisin, tobacco and a slight earthiness, with medium heat (about a 3-4 on a heat scale of 10). This dried pepper is about 3” wide and 5” in length. Anchos are flat, wrinkled, and heart shaped. Most commonly used in authentic Mexican cooking Anchos is a critical ingredient in red chili, tamales, many moles, enchiladas, salsa, soups and any sauce that may need some extra mild heat. You can add them directly to your recipes – sliced, diced or pureed. It contains capsaicin which it's an inhibitor of something called Substance P, which triggers the inflammatory process. Capsaicin inhibits Substance P from causing inflammation or slows it down. Eating pepper or chile powder may also have cardiovascular benefits by protecting the fats in your blood from free-radicals. Chile peppers also give your immunity system a boost with their concentrated levels of beta-carotene and Vitamin A. Dried Ancho Chile 4 oz. Dried Ancho Chile 8 oz. 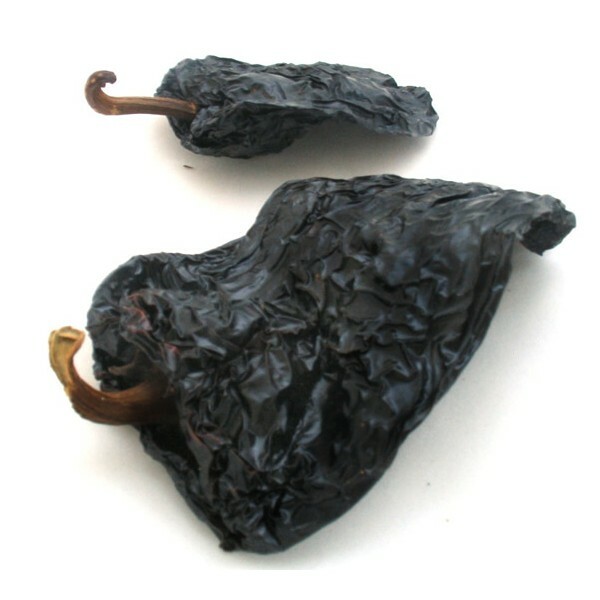 Dried Ancho Chile 1 Lb.